Na if enters the endothelial cells will decrease the production of NO. Thus, decreased vasodilator effect on smooth muscles on vessels. That leads to HTN. On the other hand, if Na does not enter endothelial cells, then there is an increase in NO production leading to vasodilation. That leads to good BP control. Even though Renin is low, RAAS is high ?? Mechanism Case 4-2012: Cortisol has a high affinity for the mineralocorticoid receptor but is normally prevented from binding because of rapid metabolism by 11β-hydroxysteroid dehydrogenase (11β-HSD). Alternatively, very high cortisol levels can exceed the metabolic capacity of 11β-HSD, allowing cortisol to exert aldosterone-like effects on potassium balance and blood pressure. 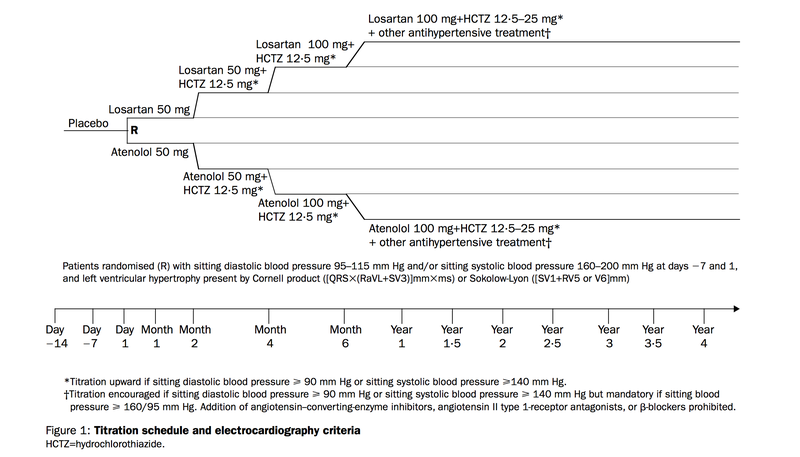 Mechanism Case 4-2012: Chronic licorice intoxication can mimic hyperaldosteronism, because glycyrrhetoric acid, a component of licorice, inhibits 11β-HSD, allowing endogenous cortisol to activate mineralocorticoid receptors. 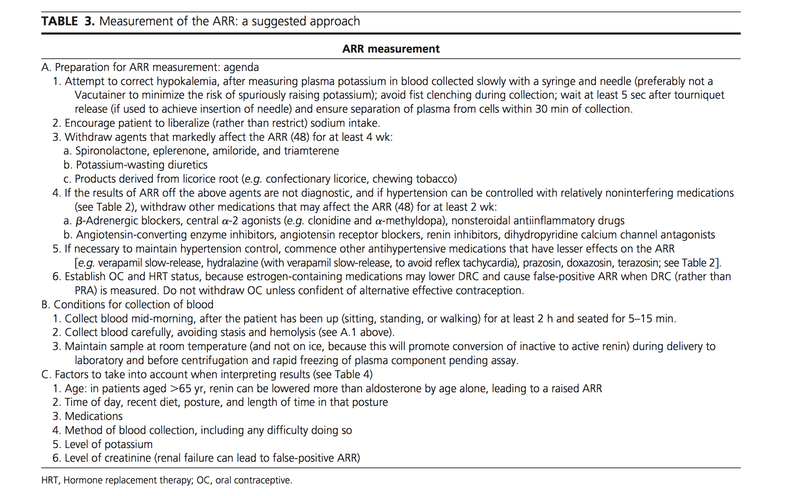 Appreciate the Medications that can be used for BP control during the test. 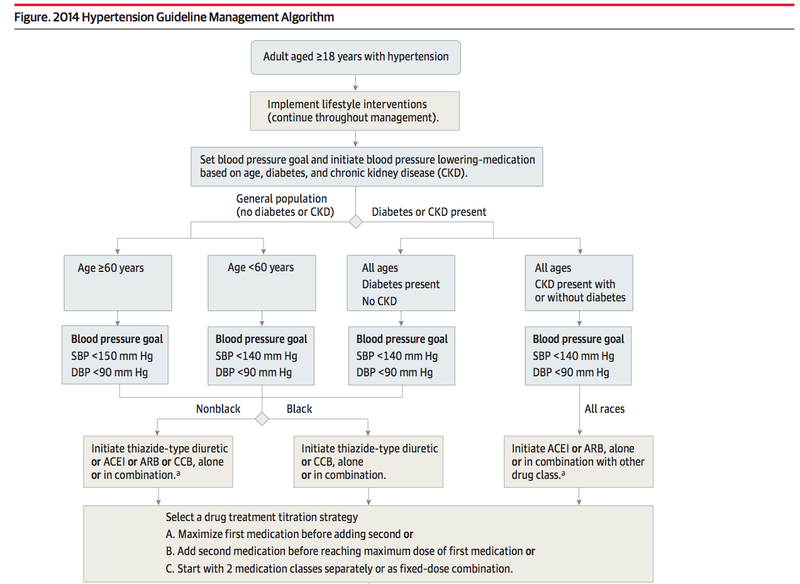 Strategy I—significant increase in diuretics. Risk of Hyponatremia and Hypokalemia is higher in older patient (>75 yr). Be careful in the elderly patient population. Change from thiazide to loop diuretic. Furosemide 40 mg daily becomes 80 mg BID. Consider torsemide, more bioavailable, longer half-life than furosemide. 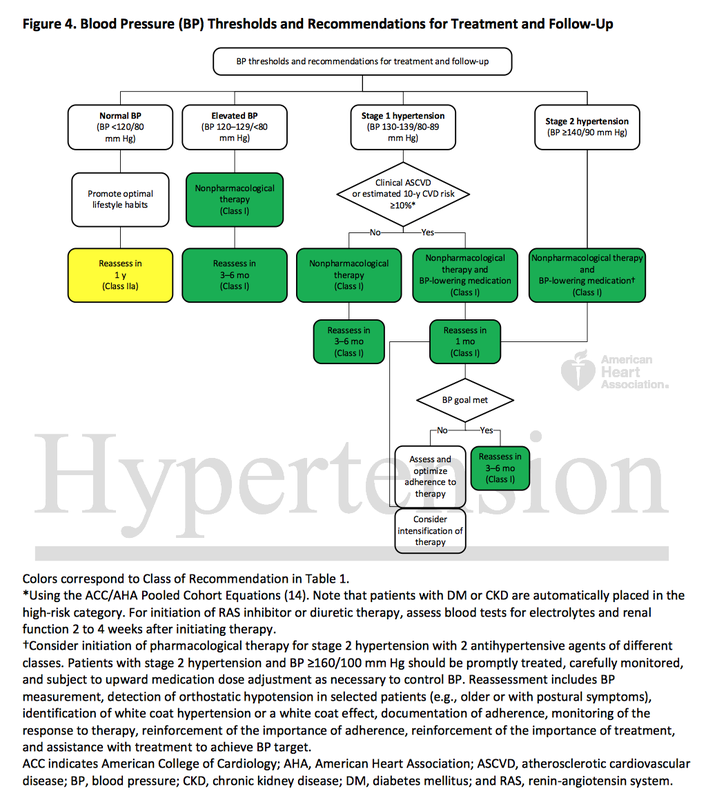 Consider combination of thiazide plus loop diuretic. Strategy II—combination drug preparations, if insurance will cover them, can increase compliance. 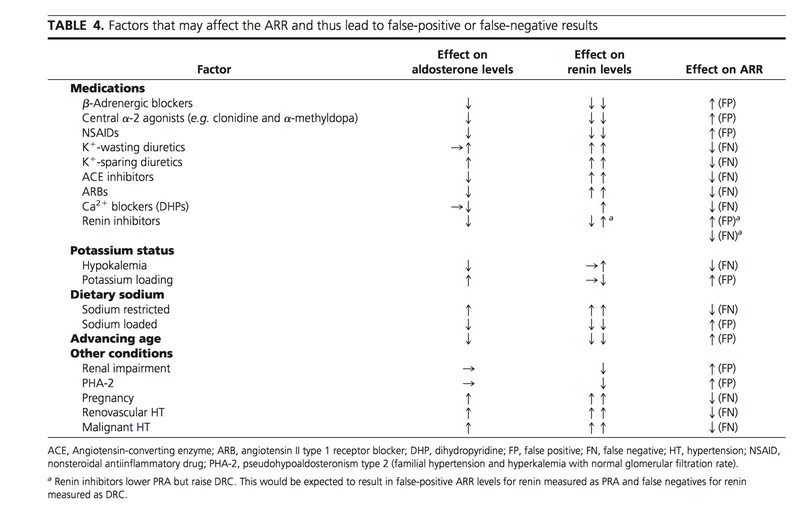 Calcium channel blocker/ARB and ACEI/diuretic another possibility. Mainly to improve the pressure natureses is effect, and less so for direct diuretics effect. Renal Failure: Fenoldipin is preferred (D1 agonist). Is 6 times more potent than Dopamine for renal vasodilatation. Severity of the stenosis was not clearly defined as an inclusion criteria. 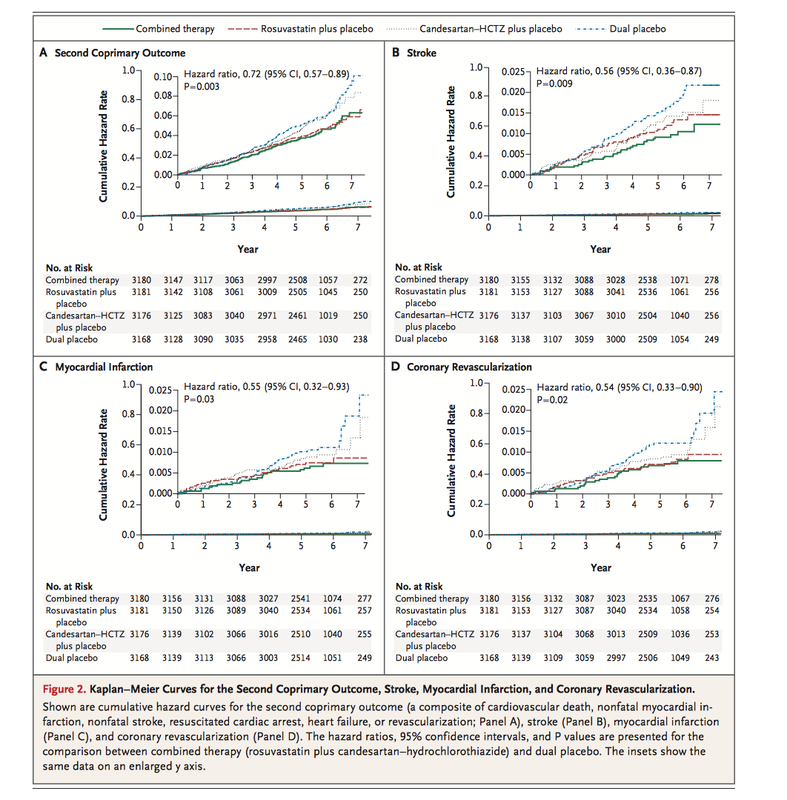 ACEI reduce CV event and mortality in patients with PAD, CAD, Stroke or DM with additional CV risks (HTN, HLD, Smoking, Microalbuminuria) but without LV dysfunction or LV failure (HOPE Study). 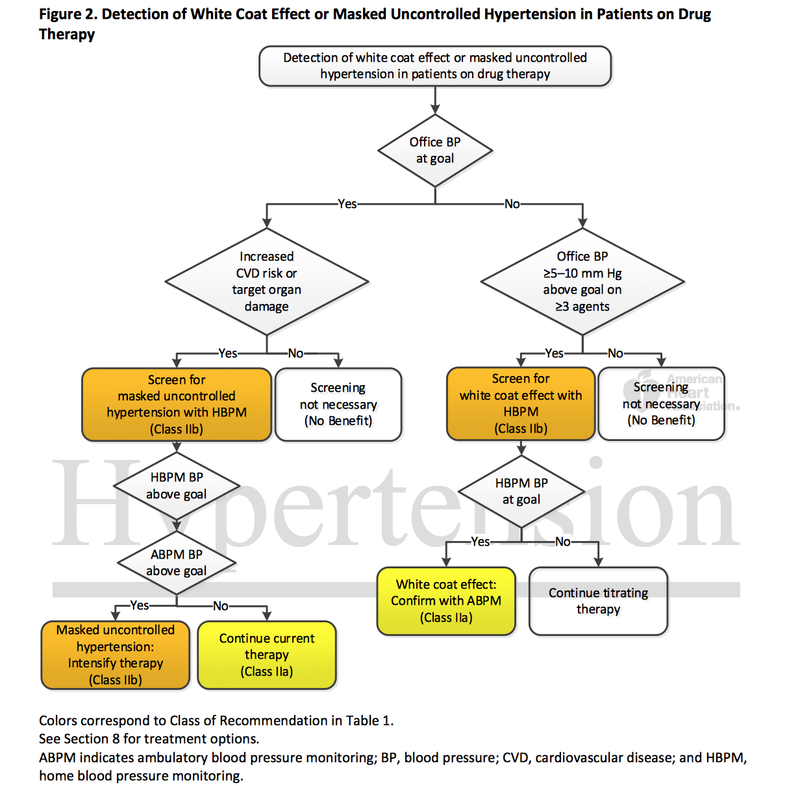 Note: Patient did not have to have HTN to be included in the study . 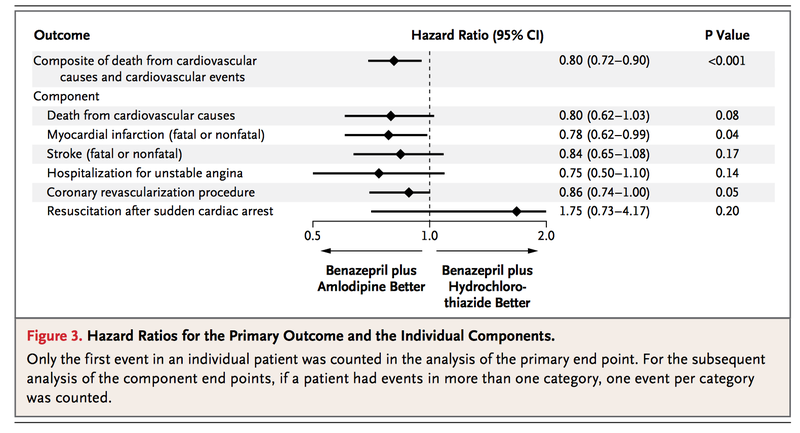 Also, contrast the outcome of ACCORD BP trial NEJM 2010 (see below) among the patient with DM 2 and high risk for CV events where no benefit of intensive blood pressure control was seen. Inclusion Criteria: High CV risk or established CV events. 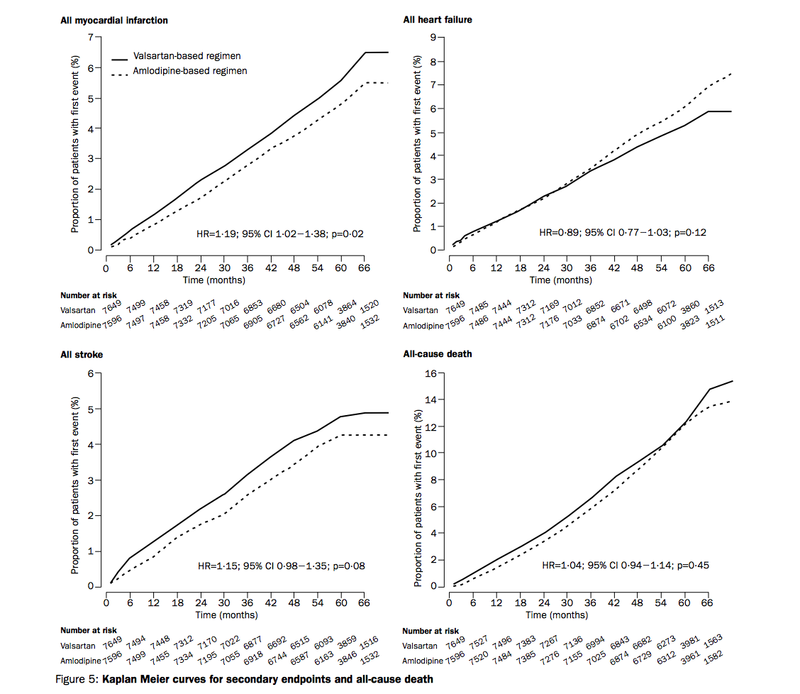 Men and women who were at least 55 years old with history of coronary artery disease, stroke, peripheral vascular disease, or diabetes plus at least one other cardiovascular risk factor (hypertension, elevated total cholesterol levels, low high-density lipoprotein cholesterol levels, cigarette smoking, or documented microalbuminuria). 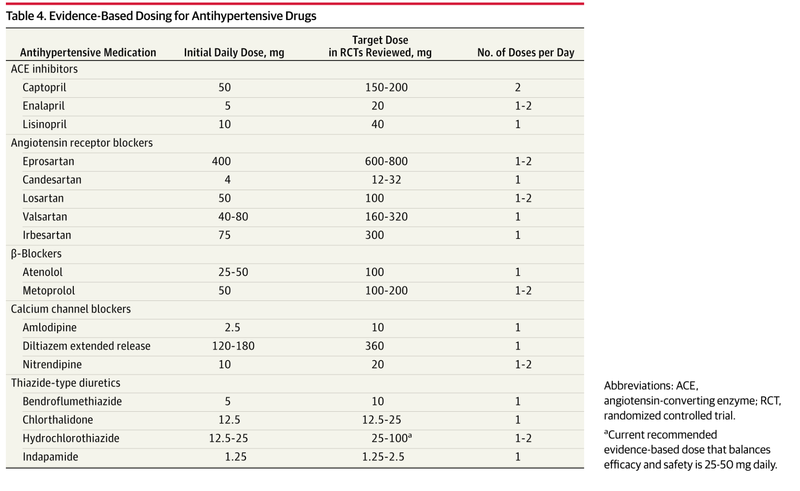 Patients were excluded if they had heart failure, were known to have a low ejection fraction (<0.40), were taking an angiotensin-converting–enzyme inhibitor or vitamin E, had uncontrolled hypertension or overt nephropathy, or had had a myocardial infarction or stroke within four weeks before the study began. 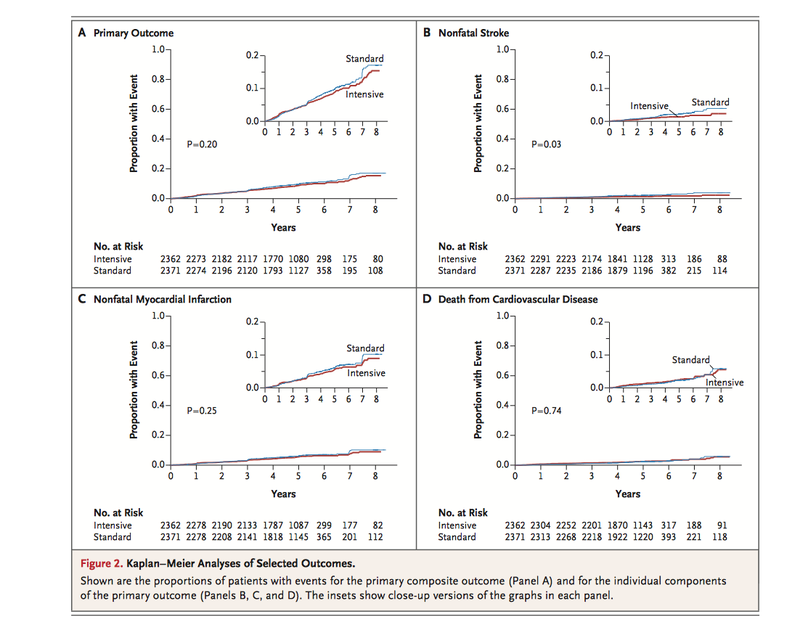 So, LIFE study showed, ARB better than BB for CV mortality and morbidity benefit. The trial was terminated early after a mean follow-up of 36 months, when the boundary of the prespecified stopping rule was exceeded. 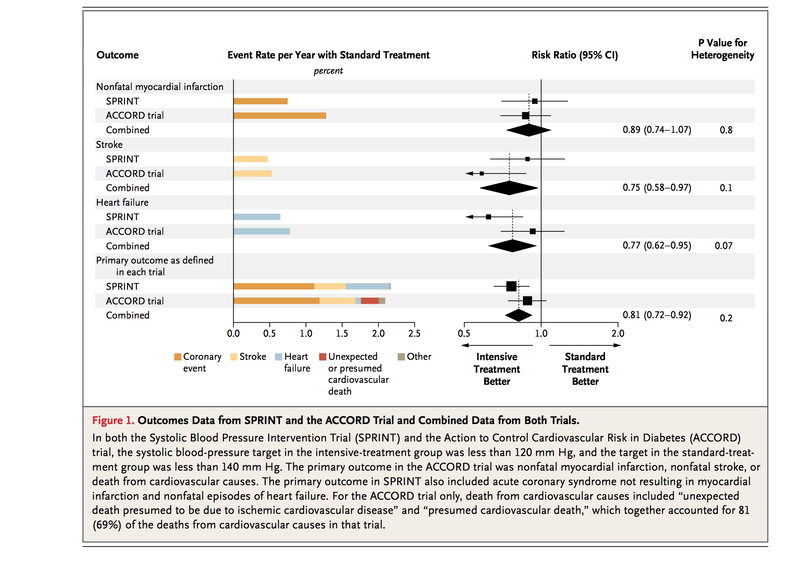 Note: It is best to start ACEI + CCB in patient with HTN vs ACEI + HCTZ (ACCOMPLISH; 13 % of patient had previous stroke); however, secondary stroke prevention for non-HTN patients, probably one should still stick with ACEI + Thiazide (PROGRESS) as no other study had looked into the patient with relatively normal BP treatment goal with better outcome. 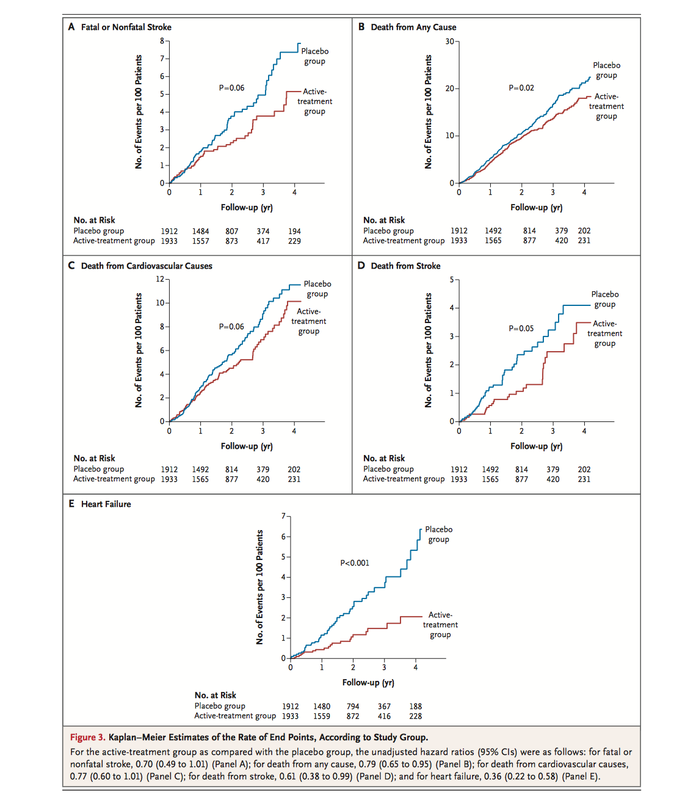 HTN Goal for > 50 yrs; with increased risk of CV events, but without DM (studied in ACCORD BP) or prior history of stroke (studied in PROGRESS trial). (SPRINT). This study was stopped before the end date due to significantly positive outcomes. ii) Diuretics and either ACEI or BB were used for intensive blood pressure control. CCB instead of BB was not used. Who knows if that may have played the role. 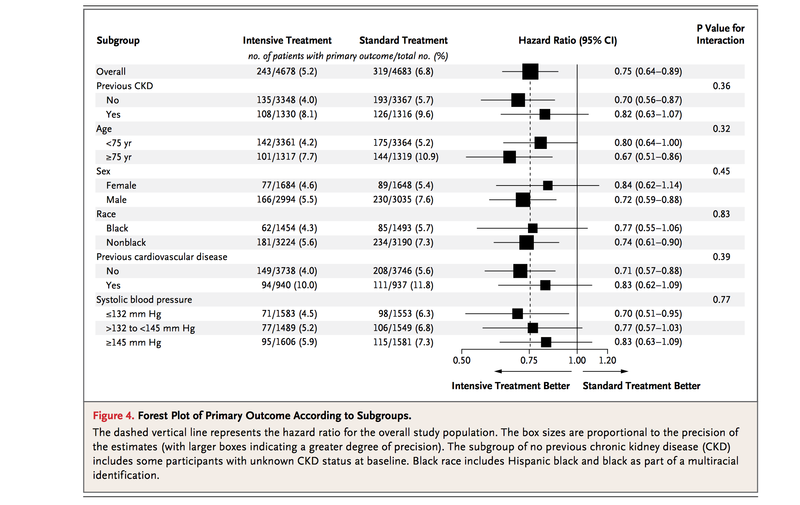 26.2 % patient used BB in Intensive regimen, whereas 24.8 % patient used BB in standard treatment group. All results have almost the same trend. Only difference is the POWER was different. Look at the trend for CV outcome from the chart above. women 60 years of age or older who had at least two such risk factors mentioned above. 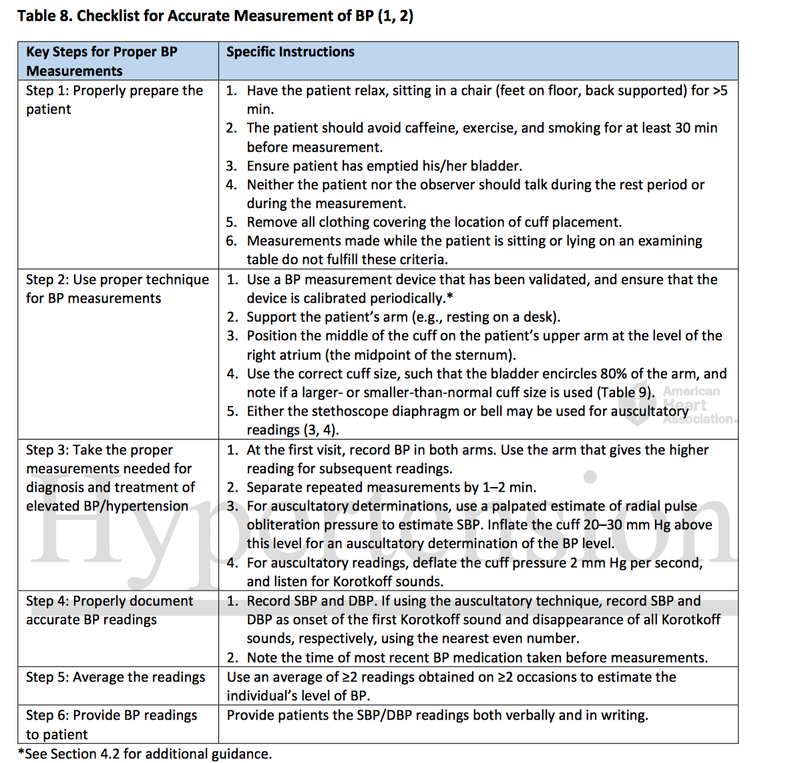 Inclusion criteria was > 130/80 BP. 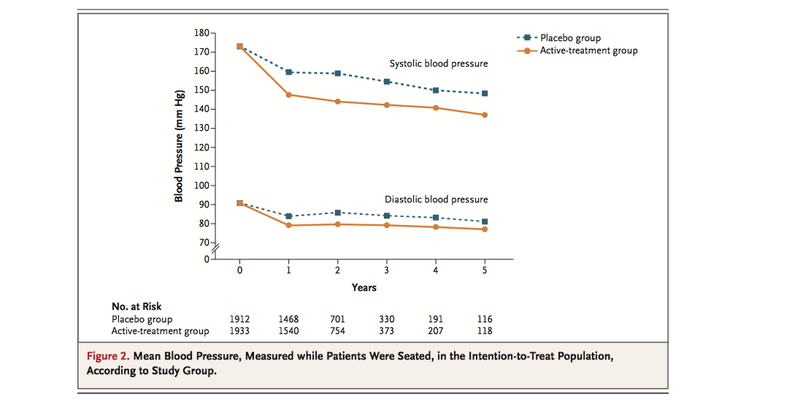 But, the goal of BP control was more intensive than in HOPE -3, and that may have been the reason for observed benefit of intensive blood pressure control in SPRINT NEJM 2015. 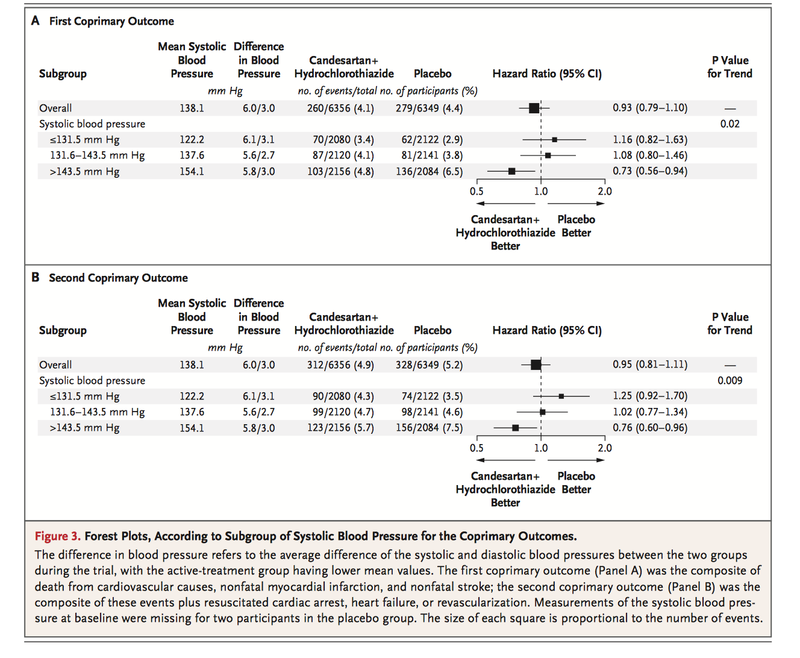 BP Control in SPRINT was twice as seen in HOPE 3. Among patients with eGFR < 60, ACEI may confer additional cardiovascular protection and provide mortality benefit (PEACE). Best medicine to use is Captopril.